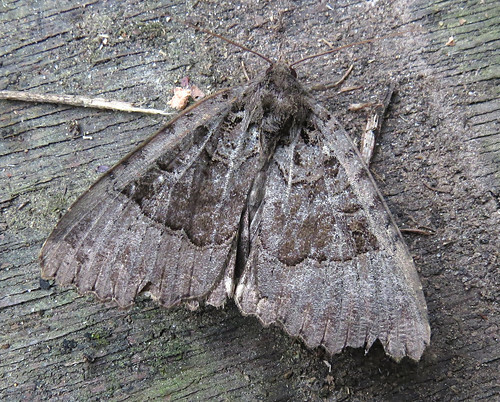 Moth recording at Tophill Low NR, East Yorkshire during the second half of August saw more site scarcities appear. 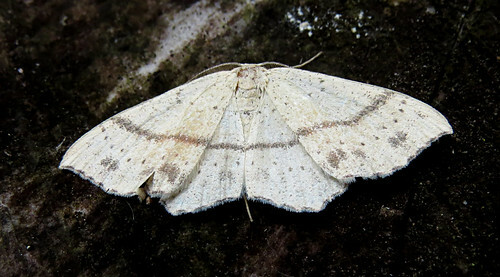 The reserve’s second ever Maiden’s Blush Cyclophora punctaria was attracted to the lights on the 16th, with the same night also seeing Epinotia caprana appear – the second site record confirmed by genitalia dissection. 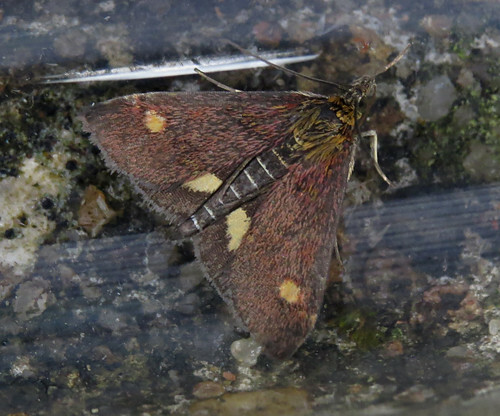 A Pyrausta aurata was also recorded on the same date, the third individual on site following records in 2010 and 2013, while after two Great Brocade Eurois occulta in 21 years, the second in three days was also taken on the 16th. 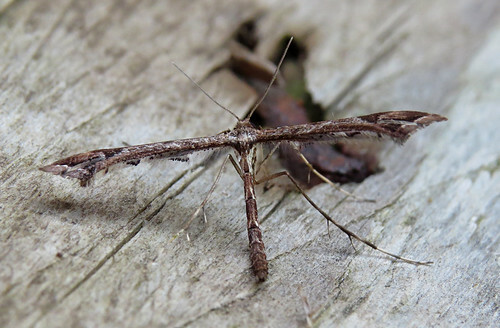 The second Mompha raschkiella of the year was trapped on the 21st, the sixth site record, with a further three recorded by the month end. 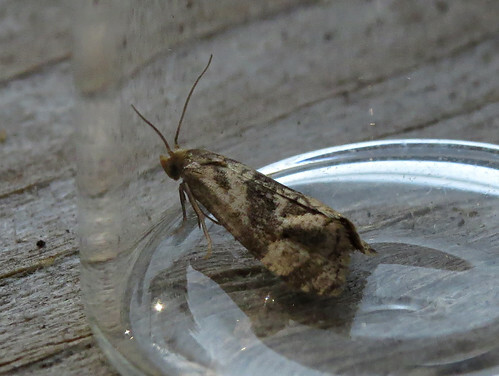 The 21st also saw Tophill’s ninth Chequered Fruit-tree Tortrix Pandemis corylana appear – the first since 2013. 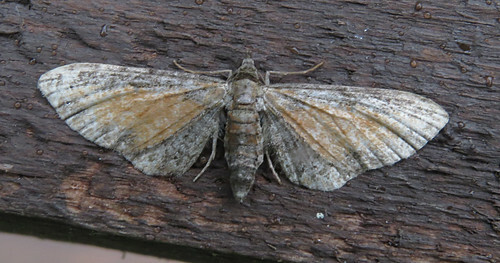 Single Tawny Speckled Pug Eupithecia icterata were trapped on the 21st and 28th – the 10th and 11th reserve records since the first recorded individual in 1992. 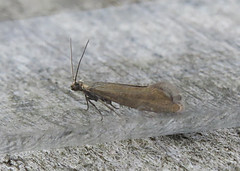 The second Gracillaria syringella of the year, and ninth site record, was recorded on the 21st, while the 22nd saw this Pebble Hook-tip Drepana falcataria taken at light, the ninth Tophill record. 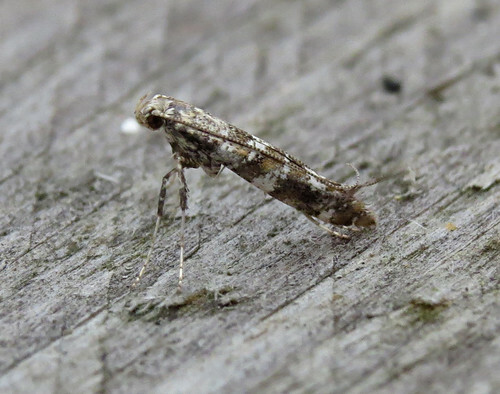 A landmark was reached on the 22nd when Tophill’s second Old Lady Mormo maura was the 450th species to be recorded this year – the first time since recording began in 1992 that this total has been reached in a moth trapping year. 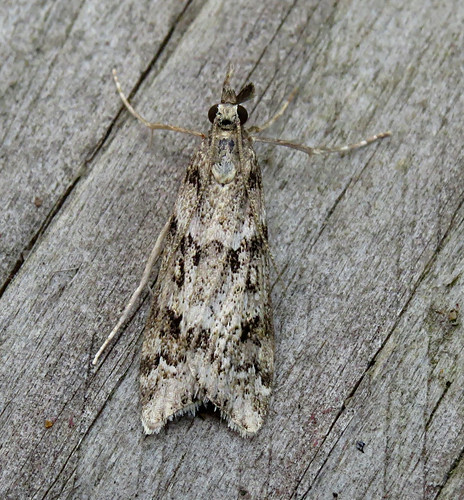 The total of 450 was soon improved upon, with the eighth Eudonia angustea in site history appearing on the 23rd and a Beautiful Plume Amblyptilia acanthadactyla on the 24th the third Tophill record. 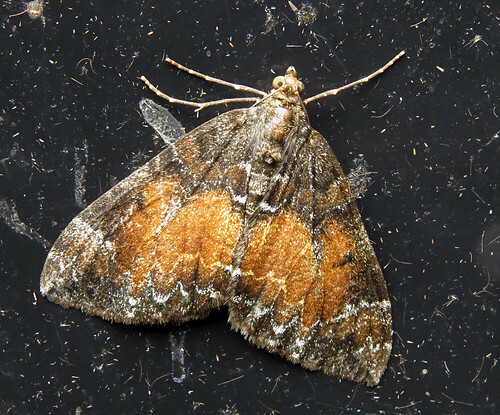 Moth trapping overnight on the 28th also saw a second new landmark reached – this Common Marbled Carpet Dysstroma truncate was the 30,000th individual moth of the year recorded on site – the first time this has ever occurred! 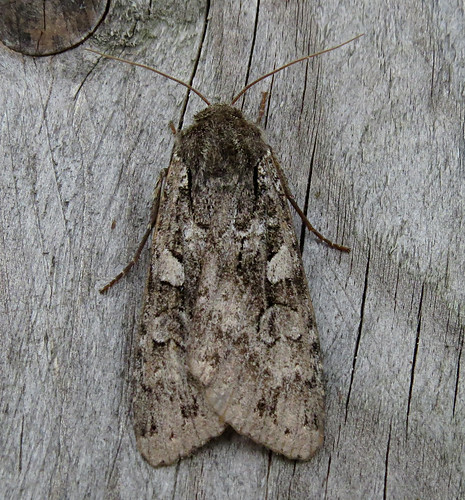 A few moths taken as specimens across the summer are still being worked on. 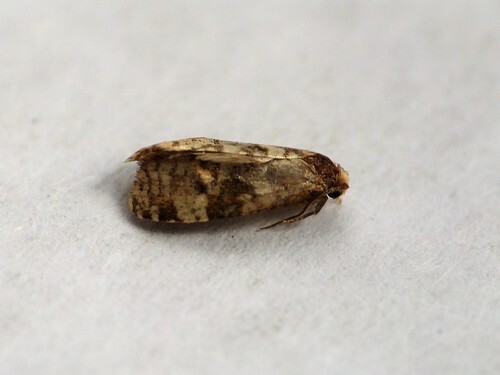 Two in particular trapped on June 2nd caused considerable interest as they were considered to be a Gynnidomorpha species. 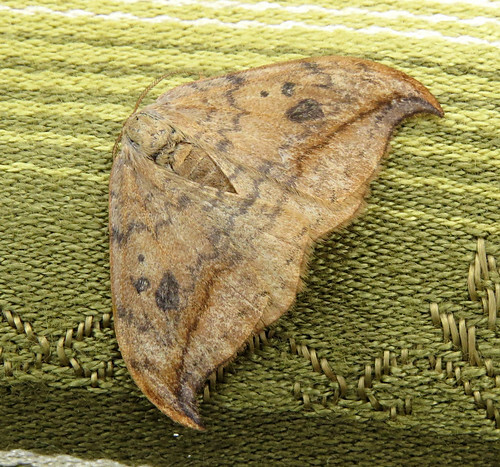 After further discussion, and seeking expert advice, our thoughts have proved correct and it is now agreed the two moths are G. alismana – and from correspondence believed to be a new species for VC61. 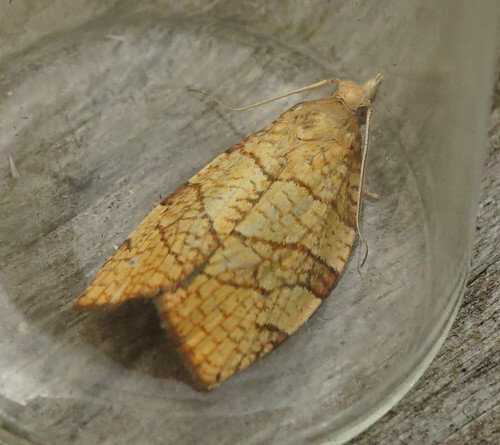 Two further individuals were trapped on July 17th and hopefully other retained specimens will prove to be this species. 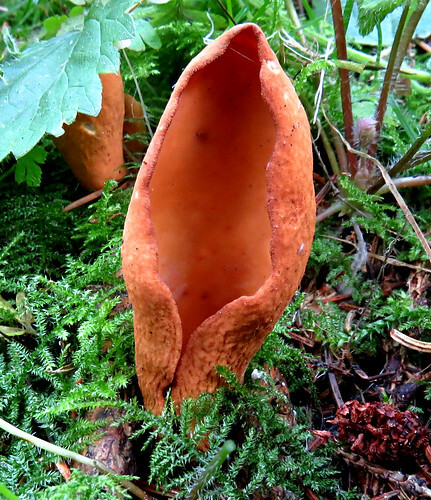 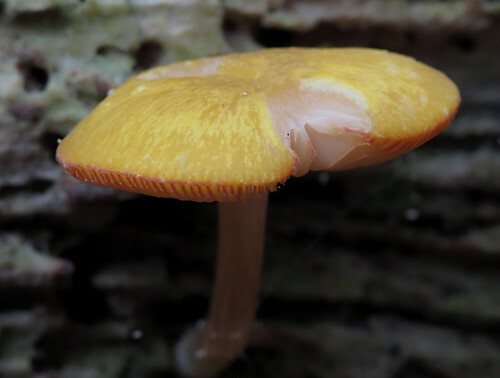 The species is scarce in Yorkshire as a whole. 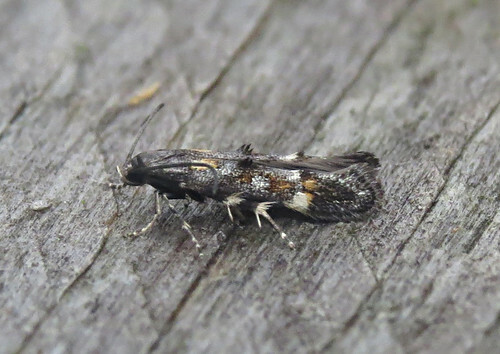 With specimens of other species retained across the busy summer period still to be identified and confirmed, the site list now stands at 664 species, with the year total now being 456 species. 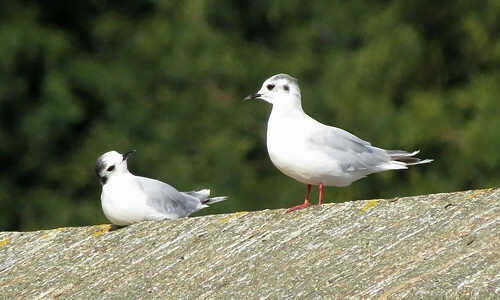 Little Gull Hydrocoloeus minutus have been a daily fixture with numbers varying each day, with a high of 142 on the 24th. 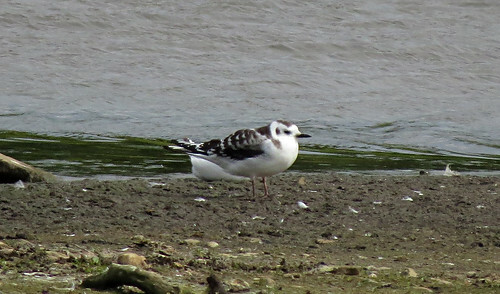 Many offering excellent views, particularly on the southern marshes, included this stunning juvenile on the 19th. 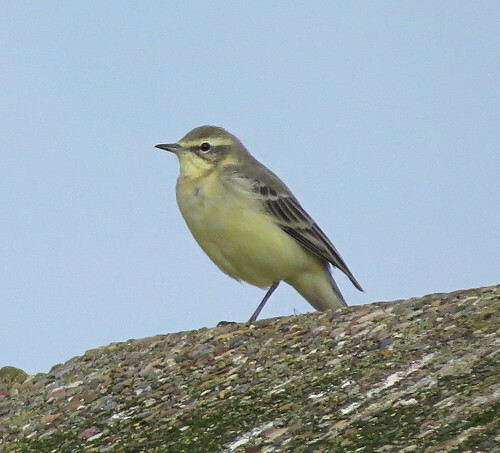 Aside from Little Gull H. minutus alighting on D reservoir wall, the western wall has held numerous juvenile Yellow Wagtail Motacilla flava flavissima and occasional Pied Wagtail M. alba yarrellii, while the reservoir itself has held occasional Yellow-legged Gull Larus michahellis and Mediterranean Gull Ichthyaetus melanocephalus, while a Black-necked Grebe Podiceps nigricollis was present on the 28th. 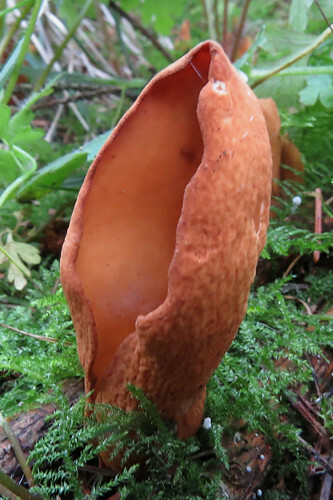 August has proved a decent month for fungi diversity including this Yellow Shield Pluteus chrysophaeus and the rather aptly named Hare’s Ear Otidea onotica. 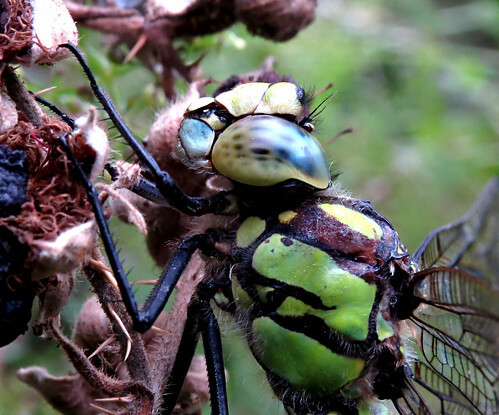 A slight increase in Migrant Hawker Aeshna mixta during the latter part of the month was noticeable as the species was incredible scarce since first appearing on the wing. 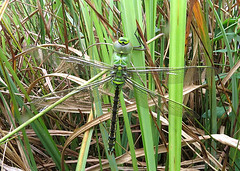 Brown Hawker A.grandis have been showing well, but predictably difficult to photograph, unlike this Southern Hawker A. cyanea. 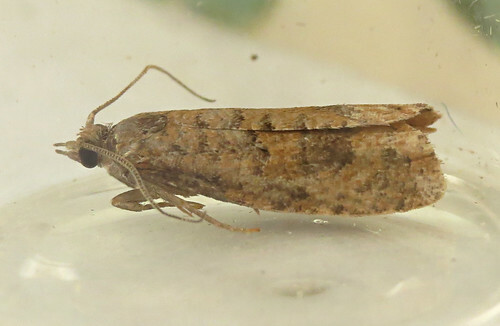 As ever, for the latest Tophill news, check out the twitter feed and blog.